(a)	Clinical trials of all new products. (c)	Clinical verification of incompletely proven medicines. (d)	Undergoing potentisation of Ayurvedic and Allopathic medicines, which are known to produce side effects in their crude form. R & D is the pillar of wheezal which ensures the production of innovative quality products. For all the varieties of diseases, whether acute or chronic, continuous effort is done to produce result oriented medicaments. Quality Enhanced Systems to Ponder with…..
With Homoeopathy, becoming a leader in cure, the parameters to judge the quality of medicines have become very sensitive and precision-oriented. Wheezal has maintained its tradition observing global benchmarks by persistently laying emphasis on quality, efficacy and safety of products. Right from sourcing of authentic raw materials to processing, in-process testing, bottling and packing its method of functioning is impeccable. With ISO 9001:2008 and GMP certifications for establishing and applying a quality system for design, manufacture, and marketing of homoeopathic drugs, formulations and herbal remedies, wheezal is continuous in pace with the ongoing revolutions in Homoeopathic Industry. 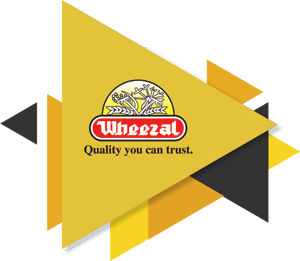 Wheezal is the only homoeopathic pharmaceutical company in the country with separate microbiological laboratories, where all liquid formulations are tested and verified scientifically. Microbiological monitoring ensures that there is no advance bacterial growth during shelf life, which is a frequent occurrence in these vulnerable liquids. A continuous review of the products is done to enhance their properties. Going With The New:- All modern techniques and equipments are upgraded wherever appropriate.